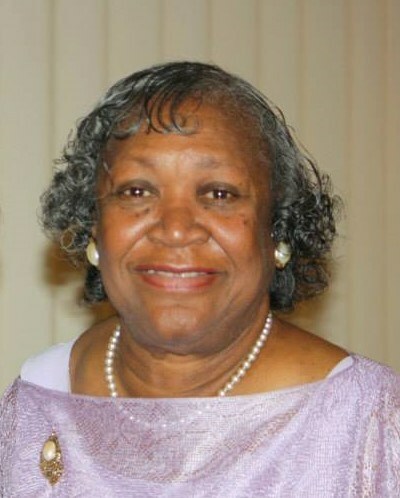 Murrie Coleman Bumpers is a seventy year old woman who is very ill. After years of struggling with diabetes, high blood pressure and related health issues such as kidney disease, she is on dialysis and needs a kidney transplant. Murrie needs your help now because the transplant center has told her she needs to raise a minimum of $5,500 by December 1, 2015 to get on the active transplant list. Murrie is a kind hearted person who enjoys meeting people, getting to know them, and being a part of their lives. She is also an active member of her church. Murrie grew up in Mobile, Alabama and graduated from Cedar Grove Academy. After raising her three children with her husband, Richard Bumpers SR., she went on to earn her Associate of Science in Business Administration from Faulkner University. She moved to Virginia where she worked in security at Lockheed Martin and retired after 15 years. She now lives in Florida and likes to fish and volunteer at a local elementary school. Since starting dialysis, Murrie is unable to participate in these activities, but is hopeful that with a transplant, she can return to the things that she loves. Murrie, her children, and our families are committed to seeing her through this transplant, but we need your help. Transplants are life saving but financially draining. Even with insurance, Murrie is facing very high expenses including co-pays, lab fees and more. A major expense will be the post-transplant medications which Murrie will have to take for the rest of her life. Estimated medication costs are $1,200 a month. To help with the financial burden of Murrie’s uninsured expenses, a fundraising campaign in her honor has been established with HelpHOPELive, a trusted nonprofit organization that has been providing community-based fundraising guidance to patients and their families for more than 30 years. All donations are tax-deductible, are held by HelpHOPELive in the Southeast Kidney Transplant Fund, and are administered by HelpHOPELive for transplant-related expenses only. Please, consider making a contribution. Murrie, You are a blessing to all who know you. Praying for God's healing and comfort for you as He continues to bless you with His love and peace. Continue trusting Him. He is able. Murrie, your answers and responses in our BSF class are so appreciated! It is a pleasure to share our study of Revelation. Love to you Dear Friend!! I hope you have a Merry Christmas and Happy New Year! May full health come to you very soon. Prayer continue. Keep the Faith! Hi Bumps. Still praying for you. Love you! Love you so much Mother Murrie! I don't know where I'd be without you. I want you to know that you are in our hearts and prayers, We miss and love you. Please continue to be strong; you will have that new kidney soon. Murrie you will truly be in my prayers. And I will surely add you to our prayer list at my church this weekend. God loves you and so do I. Love you Mother Murrie. Sending hugs and prayers. Murrie, Praying for His wisdom, guidance, healing, comfort and provision. He is forever faithful. love you! dear murrie, Our hearts and prayers are with you as we lift you up to your Loving God who loves you with His perfect everlasting love. We will pray for you in our Children's program!!! You know the plans I have for you, declares the Lord, Plans to prosper you, plans to give you hope and a future. Love You! Lifting your needs to our Lord Jesus.